View detailed information about Atlanta’s kosher food options. *Please note: Establishment hours are subject to change. 2205 LaVista Road, Atlanta, GA 30329, Inside Kroger Toco Hills. Open Saturday nights (until Passover) one hour after sundown. Catering Simchas, Yomim Tovim, and Food To Go. Has a kosher kitchen for kosher events under AKC Supervision. Gourmet Catering and Prepared Food; Deli, Butcher, Baked Goods and Specialty Grocer. Delivery Available. Please check the kosher letter in the store for which flavors and toppings are approved. The cinnamon rolls, brownies, chocolate chip cookies, and all frostings are Kosher and Pareve. The toppings are Kosher and dairy. Strawberries, raspberries, & blackberries are not certified. The AKC certifies only the donuts and donut varieties. All other items must be checked individually. the # 149 or the initials AKC on the inkjet. Fresh baked challahs, breads, baked items. Pas Yisroel. Click here for more information about Publix. See the certification letter in the store. Kosher fish cuttings are available. Are you wondering about reliable kosher symbols, QT drinks, the kosher status of breads and beverages, or any other information? Please visit the Resources page for more details. Please visit the Kosher Alerts page to view alerts or notifications about our kosher products. Support the AKC and receive the latest kosher materials and information. Members will receive an AKC Kosher Guide, Passover Guide, Approved Kosher Symbols Card, and a Kosher Kard to save you money at local establishments. 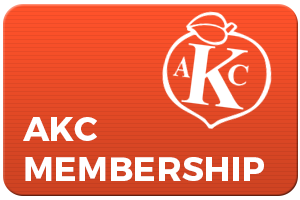 Please click on the card above to learn about what the AKC does and to become a member!